17 May 2012 saw the second Honest John Awards, and the winners have been announced below. The Honest John Awards aren’t based on judges opinions, but on reader popularity. 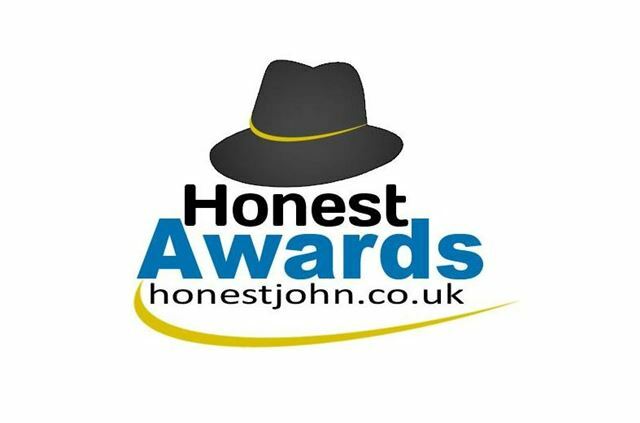 We’ve analysed the stats for Honestjohn.co.uk and found out which car reviews our readers have been looking at the most – the winner of each class is based on the review that was read the most times. The shortlists for each category are detailed below in no particular order, followed by the winners for each category. There is also a ‘car of the year’ award, which goes to the most popular car overall across all of the categories. There were also three additional awards - Best MoT Performer, Best Real MPG Performer, and Most Rated Car. The Best MoT Performer award was given to the mainstream car that performed best in its first MoT test, based on our MoT Files data. The winner was the Suzuki Splash. The Best Real MPG Performer award went to the car that did best in our Real MPG area of the site - the Toyota RAV-4 2.2 D4D - which managed to match and in many cases exceed its official fuel consumption figure when driven by Honest John readers. The Most Rated Car Award went to the Skoda Yeti, which scores consistently well in our reader reviews.